Sushma with Congress re-tweet. For the past four years, we have seen the BJP's to make the cash with Congress party fault. The Congress party who has been accused of namyappa has finally filed his App with the threat of hacking. Sushma Swaraj has created a pole and has scored a self-goal. ISIS terrorists killed 39 Indian people in Iraq The Center says they do not have their whereabouts yet. But recently Indians found the area where the tomb was buried. 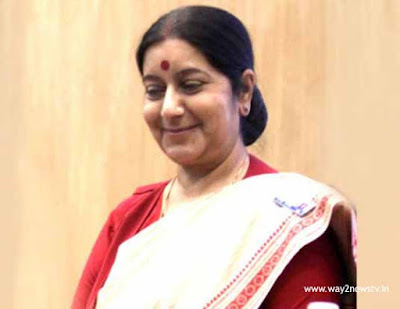 Sushma Swaraj recently announced that 39 Indians were murdered in Iraq. Congress has been critical of what has been happening for four years. Sushma Swaraj is the biggest failure of 39 Indians in Iraq. The poll was conducted on Twitter. Most people replied that there was no. This was followed by Sushma Retweet. This was a moral victory for Sushma .. Failure Congress party went into account. This is called the self goal.